So, I just did something I never thought I'd do; me and my son (a budding film critic) went and re-watched Tintin... in 3D! Primary goal was actually to re-watch it in the original English. My first viewing was together with my in-laws, and my father in law was the one who introduced our kids to Tintin by owning all the albums. I allowed the in-laws to choose what screening to go to, and they favoured the Swedish dub - in 2D. I've already seen the movie. Since I historically find 3D distracting, it was an advantage that, having now seen the plot, it was "ok" to re-watch the movie on a more "technical" level. I actually wanted to study it from a technical standpoint and had some hopes that some bits - specifically, the opening credits - could work nicely in 3D! 3D still feels fundamentally distracting. While the Tintin 3d was some of the best I've seen, there were still cases when they were poking canes in my eye, or doing swirly stuff just to show off. For example, early in the film, Tintin steps into the street, is almost hit by a car, but saved by the Thom[p]sons trademark canes. I'll bet that shot oroginally was the one shot of the car, and them then pulling him off the street. But someone wanted wanted "more 3d", so insterted there is a completely pointless, rotate-y, spinny, undercarriage-viewing shot, which only distracted. It was out-of-place both editorially and stylistically, IMHO. Other such sequences were much more gracefully handled; the massive long one-shot action sequence in the middle with the dam bursting was marvellously crafted for 3D. It was actually better (I never thought I'd ever say that!) in 3D than in the 2D showing! The problem with that sequence is instead that Tintin and Haddock pretty much demolish a small town with unknown casualties, and it is treated as a throwaway gag, which felt a bit out-of-place to me. Actually shooting for 3D is tricky and cumbersome, and while it in theory should give the better result, issues of polarization in the mirror rig generally used actually causes very annoying differences between the eyes. Converted 3D - don't even get me started on that mess. Yes it gets "better" for every year but without actually having the full 3D information from both eyes there in the first place, some stuff invariably has to be invented, pulling apart stuff from one eye and shifting it haphazardly to some "neat" place for the other eye. Some poor underpaid roto-person has to invent the missing pixels hid behind some object seen from the one camera but is needed for the other eye. Conversions tend to look flat, cardboard-cut-out-y, and anything volumetric in nature (smoke, mist, clouds), or spatially compelx (A Shrubbery! Ni!) are bound to cause issues. Sometimes the 3D effect is "enhanced" into a completely unrealistic space and if you have an acute sense of geometry you spot this immediately. The only 3D that seems to "work" for me, is the CG generated, and specifically, the more simple CG generated. Like Day & Night that I mentioned above, the way-better-than-the-actual-movie animated sequence about the three brothers in Harry Potter and the Dead Hollow Things. The fundamental discrepancy between focus plane and convergence for stuff going a lot off-the-screen plane. This isn't such a big deal, though, because we really only do a lot of changing to the focus of our eyes for stuff really close to us. The fact that movie-makers try to "solve" this by playing with convergence, which actually ends up changing the "scale" of what you are looking at. Sometimes people are perceived as "huge", sometimes they are perceived as "tiny". I know 2D movies kinda do that too, but I'd honestly rather perceive a close up as "close" than "huge". Maybe that's just me. The fact that the perceived "depth" actually depends on the size of the movie screen and how far you sit from it!! Zap, did you say frame rate? You see, movies are done at 24 frames per second and I love them for it. I have always been a proponent of 24p filmmaking (and using a 180 degree shutter, i.e. 50% of the time the shutter is open). I was physically unable to sit through "Public Enemy" (the Johnny Depp ganster flick) because of the film was using a 360 shutter, which looks suspiciously like a higher framerate, and something that screams "VIDEO" to me! I've spent a lot of extra cash over the years to be sure all cameras I buy shoot 25 progressive frames rather than shooting the standard PAL 50 fields interlaced. It has been expensive but worth it, and I still can't stand high framerate viewing for narrative content. It is perceived as cheap and crappy, sets look like sets and not places, actors look like actors and not characters, and it cheapens the experience tremendeously. Having said all that, - Yes - I think 24fps is one of the issues with 3D! Because somehow, as your eye is trying to follow all the action, the juddery motion of 24 frames adds to the distraction. What is so beautiful in 2D somehow breaks down in the fundamentally different 3D viewing world. So I honestly think Jim Cameron and Peter Jackson are right in this regard; 3D will look "much more lifelike" when shown at a higher framerate. Still, though, I am afraid, because I retain my fear from my 2D film experience; one could argue that high-framerate 2D viewing is also "more lifelike"... but that that is exactly what kills it! Something strange and magical dies at higher framerates, and I don't know what it is. Does 3D change that... maybe, maybe not? I don't know yet! I eagerly await to see The Hobbit with it's 48 fps 3D (tho I pray the 2D version is done 24 fps) because I need to see what it looks like. Because - Yes - I am afraid! I am afraid that we get in the same situation as the 2D; while it looks "more realistic", that also murders it as being filmic. That it will make sets look like sets, actors like actors, props like props, make-up like make-up, and will completely cheapen the whole thing. So... what do I think people should do to add the third dimension? Or should they? Well... movie makers have tried to give "depth" to their film for years. Because stereoscopic viewing (i.e. the parallax difference between the two eyes) are not the only depth cues our brain uses to decode depth. And make no mistake, preception happens in the brain, not in the eyes. If you can fool the brain, you don't need to fool the eyes. Filmmakers have always tried to give the fundamentally flat movie screen a sense of depth by doing all of the above; by adding smoke, focusing the lens, and dollying and trucking the camera. All these depth-cues try to communicate depth to your visual cortex. And sometimes it succeeds quite well and can give a good sense of depth. The focus thing isn't a massive deal, and good filmmakers have always been able to trick you with depth-of-field effects, but Binocular vision, is a bigger deal. Your two eyes are clearly telling you "this is happening on a flat screen". So even if the filmmaker loads up his shot with a metric ton of dollying, trucking and smoke, your two eyes are still telling you... but it's all on a flat screen. We have a bunch of cues saying "It is 3D..." and one major cue (your two eyes) saying "....but it's not"? Yes - the Pirates were right. No. Not the ones downloading movies, the other ones. Y'know the kind that sometimes are from the Carribbean? Agree with the gimmic aproach distracting one from story, which is bad. I don't like it. Sadly I've heard many people say stuff like "I've payed 30% more and 3d was so suttle". I guess since it is kinda of a new thing (despite existing for like 200 years now lol) people need to see what they are paying for. As for the reasons on why it doesn't work, you may be right... But is seems like a lot of speculation. I guess it all depends on the filmakers' knowladge of this depth cue and what it can bring to the table. You mentioned Public Enemies as a Brad Pitt gangster movie... It's actually Johnny Depp (and Christian Bale). You talked about the car shots created for 3d film which upset you. Of course they would do this. do you think that when colour TV appeared that they didn't adjust the shots to highlight the pretty colours? Also after watching a string of 3d movies(transformers. etc) i watched Harry Potter in 2d after my friends complained that it gave them headaches, and i was disappointed. none of the action really 'popped' the way it does in 3D. I want more. Its still in its infancy, so don't panic, if 3D becomes standard practice the film industry will adapt. just look at old movies with stars from theatre. The acting is very silly and over pronounced since the camera is much closer than they are used to. They have since adapted and the same will happen here. sorry about the long reply. 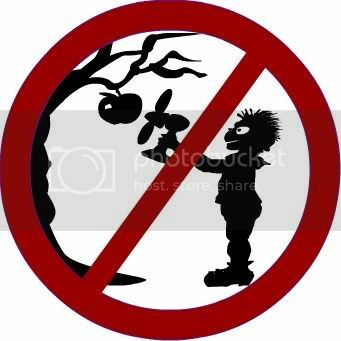 Warning: This blog may be hazardous to the health of people living in Steve Jobs "reality distorsion field".